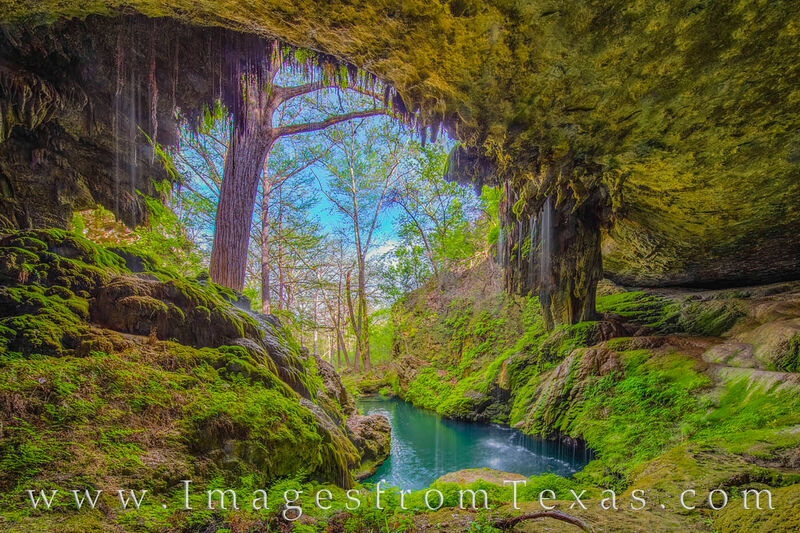 From behind the grotto at Westcave Preserve in the Texas Hill Country, this view looks out at the tranquil pool and distant cypress trees that fill the valley. Green foliage is everywhere, and this lush environment is a gem in this part of Texas. Photo © copyright by Rob Greebon.